Collect tracks, waypoints, or routes using your GPS device. 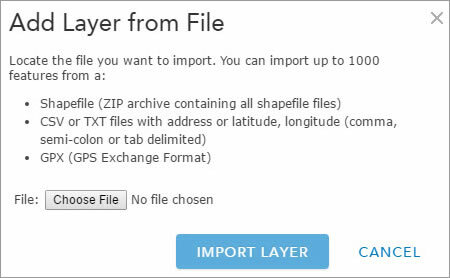 To add them to your ArcGIS Online web map, export the data from your device as a GPX file—the GPS Exchange format. How you create the GPX file will depend on the GPS device and software you use. For the purposes of this tip, a Garmin GPS device and the bundled Garmin MapSource software were used. But no matter what device you decide to use, the procedure will be similar. On the Save as type menu, select GPS eXchange Format as the file type. That saves the hike (the track and waypoints) as a GPX file. Once imported, your GPX file will display on the map. 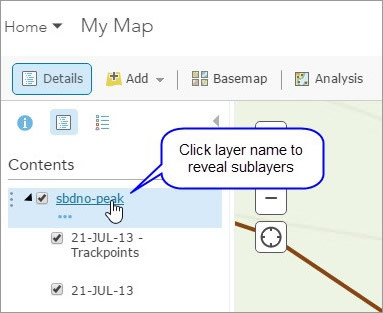 But depending on what you captured using your GPS device and exported to the GPX file, you may have sublayers you can toggle. 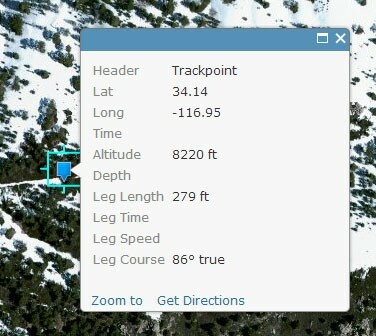 The GPX file contains more information than what is available after importing it, such as the latitude-longitude of the waypoint and other attributes. How do you get at this information? One way is to export the GPS data as a comma-separated value (CSV) file instead of a GPX file. This provides access to all information stored by your GPS device. 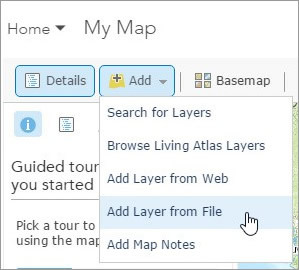 You can add the CSV file directly to your map by choosing Add, then Add Layer from File. When the Garmin MapSource application was used, the latitude and longitude values were stored in a single field when saved as a CSV file. This required additional edits to separate them into unique fields, which is easily accomplished using a text editor. 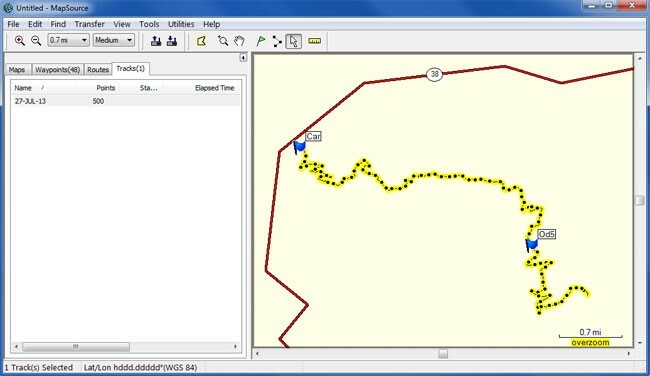 Following this workflow and options, you can effectively display and make use of your GPS data.